Lively underwater lives and a memorable experience. Uniqueness of this attraction Popular among divers and sea-loving travellers , Kuraman Island offers every visitor a serene island escape. As part of the South China Sea, the land area of 147 hectares in this tropical island is a great place for travellers to explore and find plenty of things to do for leisure. There are two main beaches in Kuraman Island where visitors can freely take a dip in its crystal clear waters. And surely, any underwater experience such as swimming, snorkeling, diving or scuba diving in Kuraman Island will be a remarkable one for you and your loved ones. Expect to meet a variety of vibrant marine lives like rare fish species and colourful corals, as well as a shipwreck for divers to explore in the east of Kuraman Island. Aside from the underwater activities, Kuraman Island is also known for its notable fishing spots that are also within the vicinity of Labuan Marine Park. The large sand pit along the beach is also a great spot to hold picnics or barbecue sessions with your loved ones at its dedicated BBQ pits. It is also safe for your little ones to enjoy their time building sandcastles or go for a beach soccer session here. A quick trip to Kuraman Island will be a great idea if you are travelling in Labuan Island to explore its exquisite nature and tropical beauty. Other things to do here? Travellers who visit Kuraman Island will usually go for an island hopping day to visit other smaller islands nearby including Rusukan Besar Island, Rusukan Kecil Island, Papan Island and Burong Island. 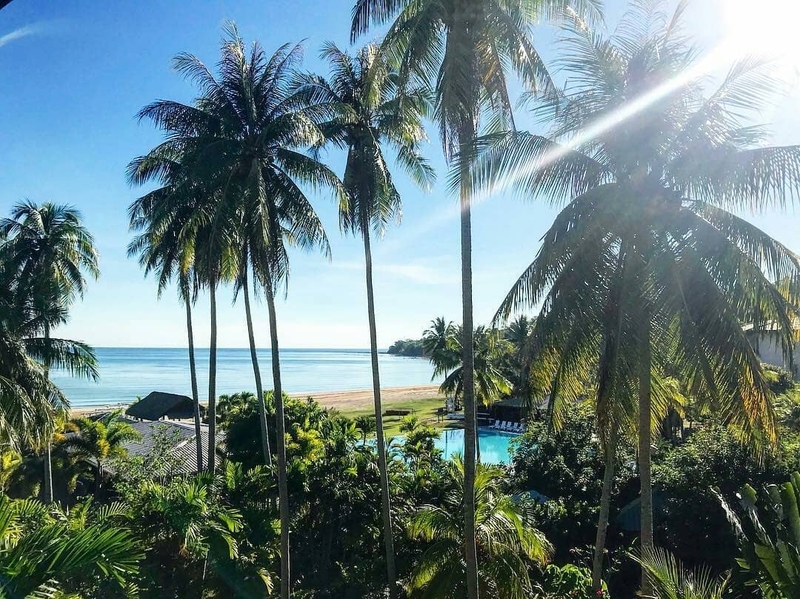 The strategic location of Kuraman Island with close proximity to Sabah and Brunei also makes it a preferred stop for travellers who are travelling between these two destinations. What to bring home? There isn’t any souvenir shop that you can find here on the island. However, there are plenty of photography opportunities that you can get here on Kuraman Island to remember your trip in Labuan and show them off to your friends or family back home! Getting around Kuraman Island is located approximately 14 km from Victoria Harbour, Labuan. It can be reached via a half an hour boat ride from Victoria Harbour. It is best to travel here with a trusted tour operator and get a package to include a return transfer to and from the island. Make your enquiries at the Tourist Information Centre located north of Labuan Square to know more about the packages or additional charges for your trip to Kuraman Island. Best time to visit the island is between February to October. Should you wish to camp here, it is also possible. Be sure to wear your life vest at all times during your boat ride to the island. On your way by boat to Kuraman Island, you might see some fishing canoe with locals selling fresh seafood catches where you can purchase some fresh fishes, lobsters or squid. You can rent and arrange a BBQ session on the dedicated pits located on the island to cook your fresh seafood purchases! There is a jungle trekking path on the island which leads to a fishing village. Although the trails can be clear, you can always check with the locals to reconfirm if you are interested to go for the adventure. When snorkeling or diving, be extra careful with your surrounding. Look out for the jellyfishes! Travellers can also find small restaurants on the island to buy some refreshments and light snacks. Part of Labuan Marine Park, Kuraman Island is one of the islands that guarantees pristine waters and underwater beauty which will amaze any visitor! There are no reviews on Kuraman Island. If you’ve been here before, write a review to share your experience.